“Long periods of immobility have ravaging effects on your body,” says University of Arizona College of Nursing Clinical Associate Professor Laura McRee, DNP, ACNP-BC, LMT, RNFA. 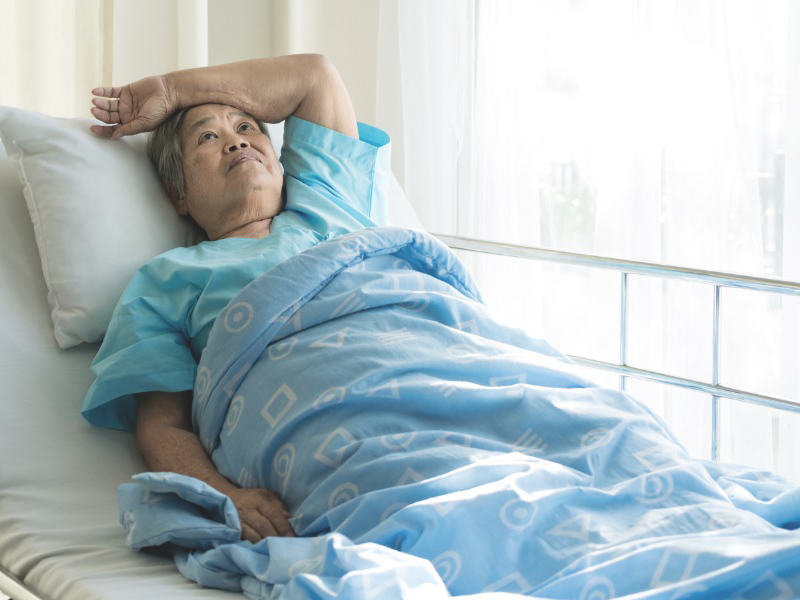 People who are confined to bed rest or who have other mobility limitations are prone to an array of adverse reactions, including rapid reduction of muscle mass and bone density that decreases a patient’s muscle strength over time. One of the direct consequences can be deep vein thrombosis (DVT), which creates a risk of pulmonary embolism, a condition that is responsible for 60,000-100,000 deaths in the United States each year. Currently, the only treatments available to treat DVT in health-care settings are anti-coagulant injections with potentially serious side effects or expensive sequential compression devices. McRee, who has focused the bulk of her research on preventing such conditions, may hold the keys to a better way with her new invention, the Bed-Sled. The innovative resistance training device promotes movement for a patient’s lower legs using a spring-loaded footpad to create resistance, thereby preventing muscle de-conditioning and the formation of blood clots. Equipped with a sensor to record the amount of pressure applied and the number of depressions of the footpad, the Bed-Sled tracks the progress of a patient’s lower extremity strength. Laura McRee, DNP, ACNP-BC LMT,RNFADesigned to be both portable and affordable, McRee’s device currently exists in a small-scale prototype format, but plans are underway with the help of Tech Launch Arizona and their National Science Foundation Innovation Corps (NSF I-Corps) Site Program to create a full-size version that can undergo clinical testing. “We have found nothing like it available in the marketplace right now,” says McRee, who has already filed for a provisional non-provisional utility patent. “This isn’t strictly for institutionalized use. It can be used for anybody in the commercial market. The electronic part is basic, the set-up is easy and because of that it will be cost-effective."